A Chinese national with an address in Limerick city was remanded in custody on Thursday in connection with the seizure of £1 million worth of drugs in Northern Ireland. Yan Li Yan (36) of Old Cratloe Road, appeared at Ballymena Magistrates Court on Thursday. Suspected Class B drugs were seized in Antrim on Wednesday. On Wednesday police had described it as “one of the largest seizures of class B drugs in recent times”. At Thursday’s court the defendant was brought into the dock in handcuffs. He faces six charges relating to Wednesday of this week including fraudulently importing the Class B controlled drug cannabis at Ballyarnot Road near Antrim town and illegal entry to the United Kingdom. He also faces two charges of possessing cannabis and two of possessing cannabis with intent to supply. 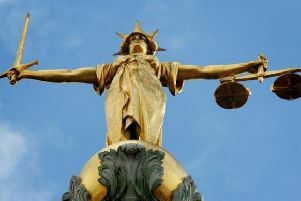 A detective constable told the court she believed she could connect the accused to the charges. After the charges were relayed to him in Mandarin through an interpreter the defendant, who was wearing a grey sweatshirt, nodded to say he understood the charges. A defence barrister said there was no application at that stage for bail. She said her solicitor was “working hard” regarding making a bail application which would be “brought as soon as possible”. No other details were given to the court. The defendant was remanded in custody to appear at Antrim Magistrates Court via video link on July 10.